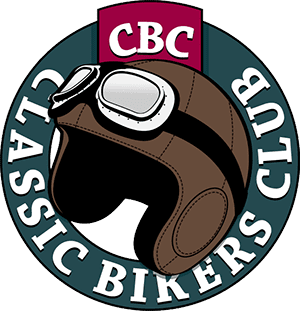 Throughout the history of British motorcycle manufacture, entrepreneurs from Brough to Wooler (and many lesser-known ones) have marketed their products under their family names. Not many would have thought of using their forenames though, and I’m pretty certain nobody except Oscar and Cedric Hanwell ever decided to combine both of their first names. The result was the Cedos (Osdric doesn’t flow off the tongue half as well) and just after the First World War the Hanwell brothers set up their business in Northampton. Ambitiously, they hit the ground running with a model powered by their own design of engine. 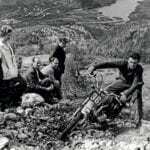 And they had the business acumen to start off with both a conventionally-framed gents’ motorcycle and a dropped frame ladies’ variant; a type that was experiencing a brief surge of popularity at the time. 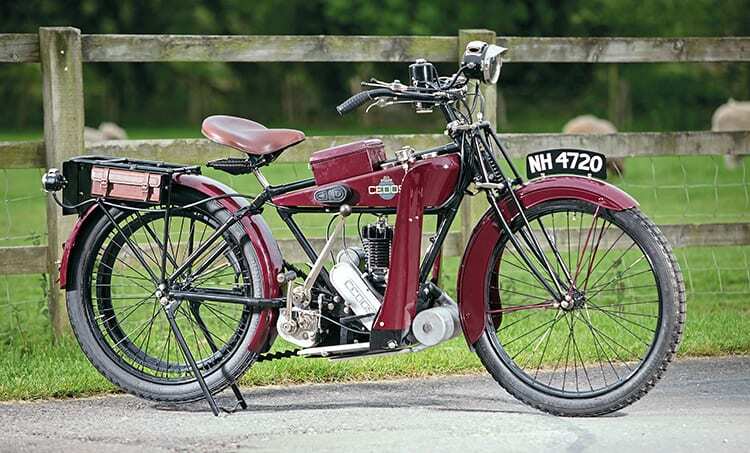 Like many competitors these initial models had engines with a capacity of 211cc, and despite having to be push-started were apparently popular enough that in 1921 they were supplemented by similar ladies’ and gents’ motorcycles with engines uprated to 247cc. 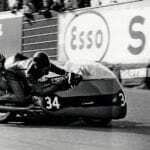 Cedos two-strokes were notable for having detachable cylinder heads, making decoking – a regular chore with crude contemporary oils – much simpler than with the common design where heads and cylinders were cast in one. That was evidently not enough to sustain the marque’s popularity and within a year or so only the larger models were listed, shortly followed by the company going into liquidation. It wasn’t the end however, as Cedos was promptly restructured with new models being introduced. It’s not clear to what extent the Hanwell brothers were still involved, because a Motor Cycle Show report in November 1924 says: ‘…the designer of these machines is an old TT and competition rider’ and yet neither Oscar or Cedric seems to have competed on the Isle of Man, unless they were the unnamed Cedos riders who took part in the 1923 TTs, one retiring in the Junior race and the other finishing a creditable fifth in the Lightweight class. Some own-make engines were presumably still being used by the reformed business because the same Motor Show report states: ‘Cedos motorcycles for 1925 have been redesigned throughout, and the two-stroke models are fitted with an entirely new ball and roller bearing engine.’ Perhaps, wisely, the company decided not to rely entirely on its own engine, and production from then onwards covered a wide customer base with the use of proprietary engines from Blackburne, Jap, Villiers and others, and capacities ranging from 150cc up to a mighty 1000cc V-twin. Evidently that diversity didn’t ensure profit so only Villiers-engined lightweights were listed towards the end of the 1920s, and in 1929 the Northampton firm was just one of many terminally affected by the global financial depression. Cedos production figures were never very great and today there are probably no more than half a dozen survivors in running order, the various engine and other options making it doubtful if any two of them are exactly alike. 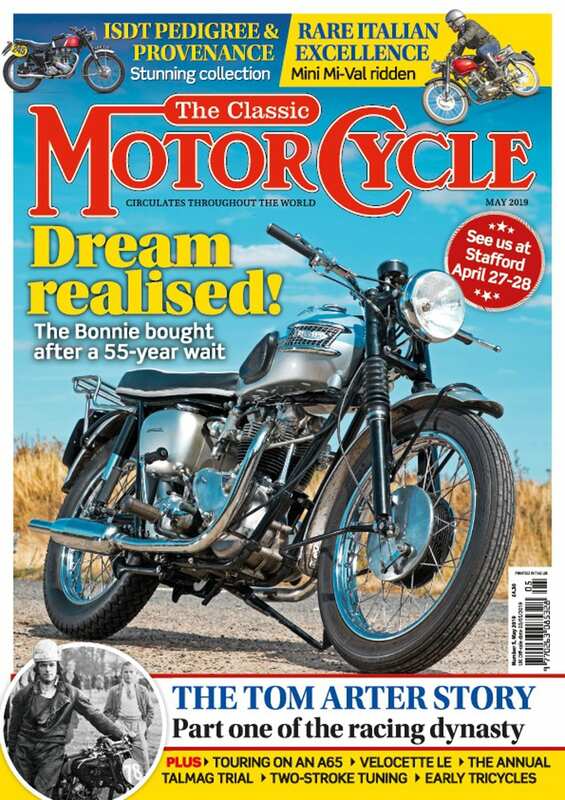 The motorcycle featured here comes from the end of the original production period, and is a gent’s model with an own-make engine plus a two-speed Sturmey Archer gearbox. The option of a three-speed ’box at just £1 more seems like a bargain, so I can only think the original purchaser was an established motorcyclist who’d been running a pioneer machine and rated even the two-speeder as an improvement. Like so many rarities, this machine can be seen in Sammy Miller’s Museum in Hampshire, and has been brought back to life in just a few months after being purchased from a Wiltshire enthusiast who decided he was unlikely to restore it himself. I’m glad Sammy picked up the baton, because the result is an imposing and interesting machine. Museum workshop supremo Bob Stanley fills me in on the riding technique before setting me off on a burble round the establishment’s environs. “It’s lubricated by drip feed,” he points out, operating the hand pump which pushes oil through a sight glass and into the base of the cylinder on the left. “The only thing you have to be wary of is that the oil compartment is in the centre of the petrol tank rather than in the usual position at the front.” I can’t imagine why Cedos used this unconventional layout – which must have been more expensive and complicated to make – and many early owners probably found it wise to write reminders on the filler caps just as Bob has done. Another unconventional feature seen on two-stroke Cedos engines is the forward-facing carburettor. I doubt anyone clever enough to make their own engine would have been naïve enough to think it would give a supercharging effect – especially as it’s shrouded on this particular bike by the legshields – so the Hanwell brothers may have adopted the layout simply to give more room for the rider’s leg and the magneto drive. The legshields themselves are interesting, as the machine was apparently fitted as standard with natty little shoe protectors at the front of the footboards, and the shields are just an extension bolted onto them. Yet another peculiarity concerns the brakes. Those who studied the pictures before reading the article may well have noticed that the front wheel is not only devoid of a drum brake but doesn’t even have the invariably useless bicycle-type stirrup brakes often found on vintage lightweights. The reason can be seen at the other end of the Cedos where brake blocks operate on both the inside and outside of the belt drive rim. Yet again Cedos didn’t follow convention – or even logic – and the rider has to remember that the inside block is operated by his left heel, while the outside one has a toe lever on the right. Returning to riding the Cedos, it has one unfortunate deviation from standard. The Hanwells not only made their own engine, but also manufactured their own carburettor. The use of this device was claimed to result in the ‘absence of four-stroking on the Cedos motor cycle’ but either it didn’t live up to the claim and was abandoned, or it was so successful it was ‘borrowed’ for another machine. Whatever, the result is that a non-standard two-lever B&B is used here, and far from eliminating four-stroking, it positively encourages it. Admittedly it does allow easy one-kick starting so I have no problem popping (literally) round the museum’s grounds, but the refusal to rev cleanly would be a real deterrent on the open road. To be frank, the Cedos is not a particularly easy machine to ride in several respects. The girder forks, which were made in-house, have quite an unusual design with their movement controlled by two in-line springs, the stronger one at the top providing the suspension, and the slighter one below giving some rebound damping. They seem no better or worse than a conventional design in respect of steering and comfort, but conspire with the shape of the tank to give a turning circle more suitable to a heavyweight cruiser than a short-wheelbase lightweight. Also, while vintage and veteran motorcyclists are used to the sit up and beg attitude early designers inherited from horse riders, the principle is here taken to extremes with the sort of saddle height which caused so many complaints among riders of oil-in-frame BSAs 50 years later. True, the seat can be lowered by a couple of inches, but as Bob Stanley points out, the angle of the mounting tube results in the saddle simultaneously moving forward which results in a cramped and even more upright riding position. Having said all that, the saddle itself – made by Leckie – has a sophisticated design, with long underslung horizontal springs giving quite a comfortable ride. While we are being critical, though, Bob observes that the underslung exhaust – despite looking fairly impressive with a substantial aluminium main chamber – is badly positioned with its tailpipe aimed directly at the rear wheel’s belt drive rim. 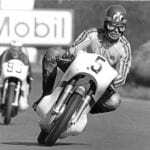 Given that the exhaust gasses from a two-stroke will inevitably contain some oil – especially with the gummy stuff of the day – depositing it where it will degrade the grip not only of the belt drive, but of both brakes, is definitely not the cleverest design feature! 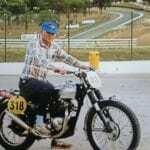 We’ll never know whether Oscar and Cedric Hanwell thought the buying public would overlook the deficiencies of their motorcycles, or whether they didn’t even accept there were any shortcomings; but in either case they were fatally wrong. 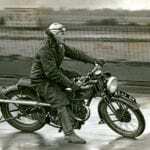 In the early 1920s there was a plethora of other lightweight two-strokes to choose from; some of them – like Triumphs and Velocettes – with a significant and successful history behind them. Why would anybody select a new and unknown marque when that sort of machine was available? The answer is they mostly wouldn’t, and the Cedos faded into history leaving just a few survivors like Sammy Miller’s handsome but slightly idiosyncratic example to keep the forenames of its two creators alive.